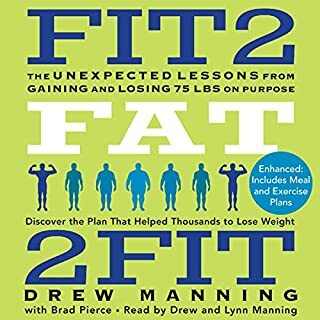 Drew Manning, a natural fitness junkie and devoted personal trainer, had never been overweight in his life. He never craved junk food or missed an opportunity to work out. Yet despite his obsession with fitness, he failed to help his clients reach their goals. Something had to give. Manning needed to understand what it was like to be on the other side; he had to spend a few months in his clients' shoes - or rather, size. For six months, Manning radically let himself go. He stopped exercising and ate the typical American diet. a unique book with some surprising insight. I was inspired by this story and I do recommend listening to it more than once.